Nigel has been part of a family member and an individual member of LBSC, not continuously since 1967, where he sailed alongside his dad and brother. Over the years, you will find his name engraved on most trophies the club presents at the Annual Laying Up Supper from the Daniel Cup, presented to our junior champions, to the Club Championship Shield. 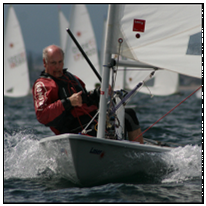 Nigel has learned a lot about dinghy sailing, racing and tactics from training days held at the club and racing against many of the previous champions of the club. He learned further sailing skills whilst training with the RYA Scottish Youth Squad, and travelling to local, regional and national regatta's and events all over the UK and more recently as far as Holland. 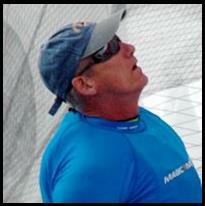 Peter moved down from Aberdeen in early 2011, but had been a regular at Largo Regattas since 1975. Sailed an OK dinghy back then, followed by an Enterprise with wife Anne, then a Laser since 1982 (he did miss the regatta in 1982 because his daughter Gillian was born that day). Still competing on the Scottish Laser Grand Prix circuit, and occasional Masters (that’s “old folks”) events down south – so if you want to know about Laser racing, ask Pete. 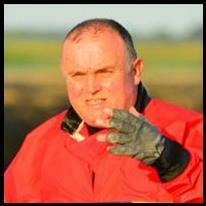 Donald has held various positions in the club including Secretary, Training Officer, and House Convenor. Started off cruising around in a very old Enterprise, then progressing to a 505 and then a brief interlude with a Boss. Donald has spent the last 14 years as a crew in a 505 with Jim Blyth winning the club championship 5 times. His time hanging on the wire has now come to an end and is now back sailing a Laser. If you want any advice on hips, hearts or knees then Donald is the man to ask, we reckon the NHS is currently building the first bionic dinghy sailor. Currently on the committee as Vice Commodore Web Master with responsibility for Social Media. 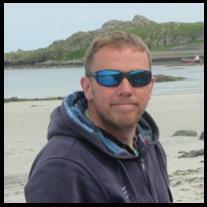 Chris joined the club in 2015 when he moved to Lower Largo. Having previously sailed for many years on small inland waters, in an Enterprise and latterly an RS200, he finds it delightful to sail in Largo Bay. He is still getting used to single-handed sailing in a Laser after many years having a crew to tell him where the next mark is! 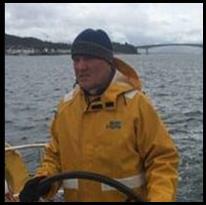 Tony started sailing as a teenager in Mirror, Kestrel and Ospreys at Dysart and Loch Tummel in the 1970s. Then life & work got in the way until he saw a poster about the Largo SC Open day in summer 2015. 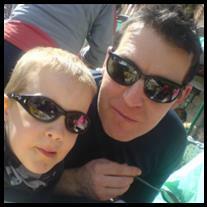 He and his teenage son attended a weekend training course at the club and, having not fallen in OR capsized, they both joined up and have enjoyed great friendship, advice and training. Although still making rookie errors, and normally to be found towards the back of the fleet on race days, he is getting better. His weapons of choice are the club Laser and Laser 2000’s rented for the afternoon at a modest fee. I came into dingy sailing late! Just prior to retirement from the Oil & Gas industry as a Hydrographic Surveyor. The vessels I used to sail on and manage were between 20m and 140m in length, so dinghy sailing was quite a change. Knowing several members of Largo Bay Sailing Club already eased my introduction into the sport, with excellent training and support provided. I took a further 5 day RYA level 2 dinghy sailing course at Sport Scotland in Cumbrae. Still haven’t won any races yet, but working on it. I enjoy helm & crew duties on the safety boat, and have been coerced into Race Officer on several occasions. Another great thing about LBSC – those people know how to PARTY!!! 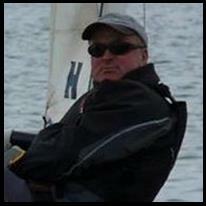 Kevan has played a big part of the Scottish sailing scene over the years campaigning a variety of different classes. He is probably best well know for his partnership with Ian Porter who between the two of them won the world Wayfarer championships on a number of occasions. He has been campaigning a Solo predominantly for the last 5 years but has had the odd outing to National Championships in RS 400’s, Tasars, and the Finn. 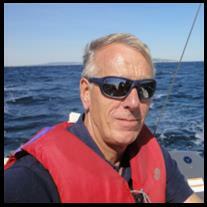 He has a great wealth of knowledge when it comes to all things related to sailing, so if you cant think of anyone else to ask Kevan will surely help you out.